Coming this January, One Daytona and MoveStrong work together to bring outdoor functional fitness, provided by Florida Hospital, to Daytona, Florida! The MoveStrong FitGround is located at the newly developed One Daytona, Daytona Beach area’s epicenter for premier retail, dining and entertainment. Located across from Daytona International Speedway!!! This dedicated outdoor fitness area will be provided by Florida Hospital and open to the public. It will also be used by Florida Hospital's fitness staff to conduct fitness workshops, trainings, and classes for their members and the Daytona area community. Some before pictures of the space dedicated for the MoveStrong FitGround at One Daytona. Right next to Bass Pro Shop and along the walk-way that leads over International Speedway Blvd. to Daytona Speedway! MoveStrong worked closely with One Daytona developers and Florida Hospital to create a layout for the Outdoor Fitness space. Below is a rendering of the proposed One Daytona Outdoor Fitness Park utilizing MoveStrong T-Rex FTS and FitGround products Push-up bars, Elite and Low Parallel bars, Stall Bars, Plyo Steps,and Over/Under Agility post. 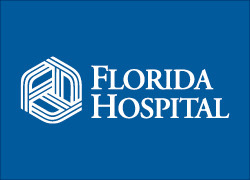 An artificial turf was selected with custom Florida Hospital logo designe to finish off the space and provide a excellent look and functionality for the exercise surface area. We are excited about the new MoveStrong FitGround that will be built at the One Daytona center located directly across from the Daytona International Speedway. Soon to be Daytona Beach area’s epicenter for premier retail, dining and entertainment—including two hotels, luxury apartments and Victory Circle—ONE DAYTONA is a lifestyle and entertainment center designed for convenience, comfort and fun. And, MoveStrong will be there! Right next to the Bass Pro Shop! Experience the unforgettable. Taste the delightful. See the remarkable. Live the dream. Feel the energy of ONE DAYTONA, coming in December 2017. Soon to be Daytona Beach area’s epicenter for premier retail, dining and entertainment—including two hotels, luxury apartments and Victory Circle—ONE DAYTONA is a lifestyle and entertainment center designed for convenience, comfort and fun. 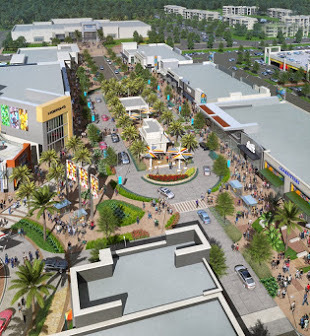 With inviting spaces, new-to-market and exclusive retail and an appetizing collection of dining options, ONE DAYTONA will be the ideal gathering spot for locals, visitors and race fans.